Wild One Obstacle - Jumpin Jiminy - Make Your Events Awesome. The Wild One obstacle course (3 piece) is our most impressive obstacle course yet! This spectacular piece looks like a roller coaster but don’t be fooled it is really an inflatable obstacle course. The graphics and detail on this piece are amazing! 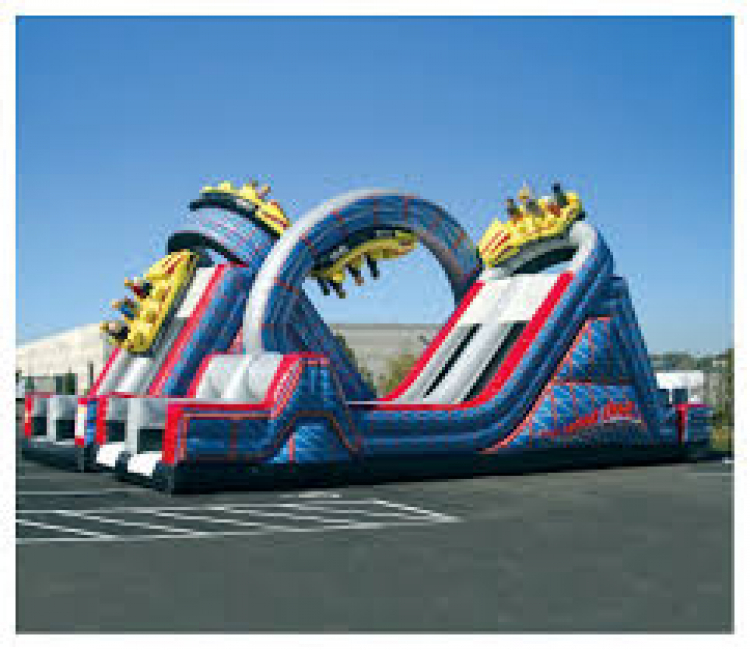 This incredible double lane unit features 110 feet of tough obstacles including two (2) large climbs, two (2) roller coaster slides, two (2) small climbs, two (2) squeeze through obstacles, inflatable turn style pylons and more. Don’t panic, the loop-de-loop is just for looks and is not an obstacle.